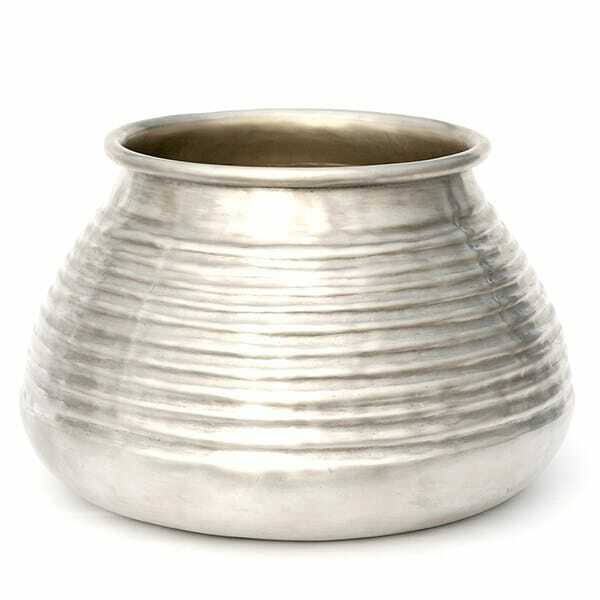 Bold and contemporary, this large beehive style pot makes a dramatic style statement in the home, office or conservatory. 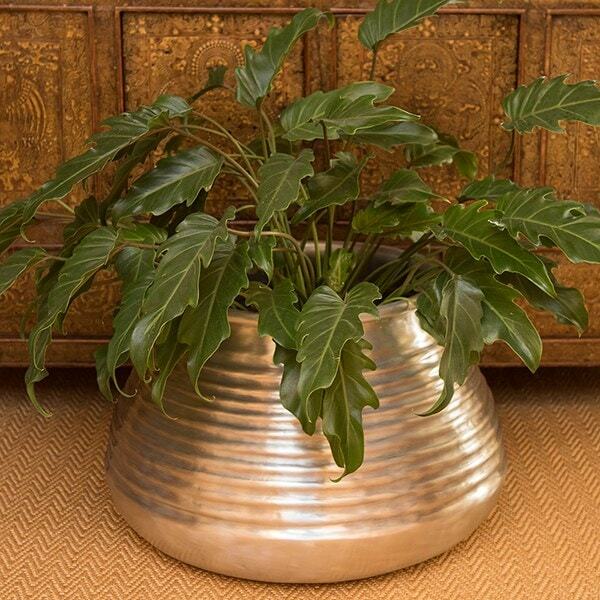 Made from ribbed aluminium with a clear matt lacquer finish, the wide-bottomed pot looks spectacular filled with expansive plants like kentia palms that will beautifully balance out its width. Alternatively, pile it high with chunky cut logs beside the fire for a touch of Scandinavian chic. 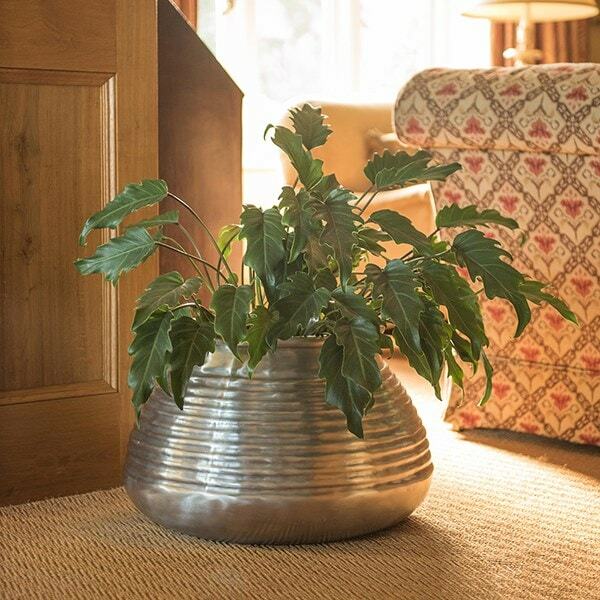 Designed with indoor use in mind, the pot is also suitable for direct planting outdoors, though you'll need to drill drainage holes in the base before filling with soil.